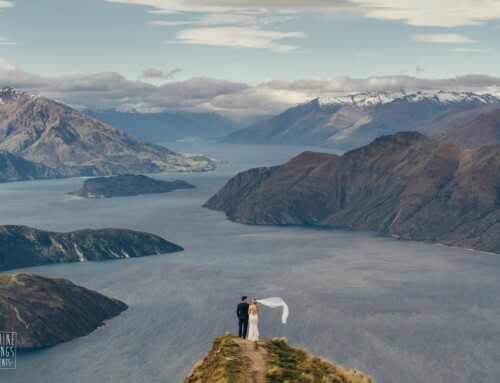 Kristin and Kyle wanted a real adventure for their wedding to decided on Mount Roy and Lake Erskine. 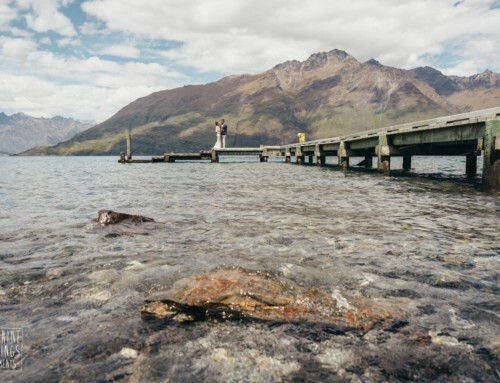 Two incredible locations, one with vast views across lake and mountains. The other a small, glacial lake high up on the Southern Alps, with bright blue reflective water and a dramatic waterfall spilling down the cliff-face. Scott got to hang out with this awesome couple and capture a relaxed ‘first-look’ in the morning before heading off for their flight. They met in a brewery back in the US so it made perfect sense to bring a few beers along to celebrate with during the day. 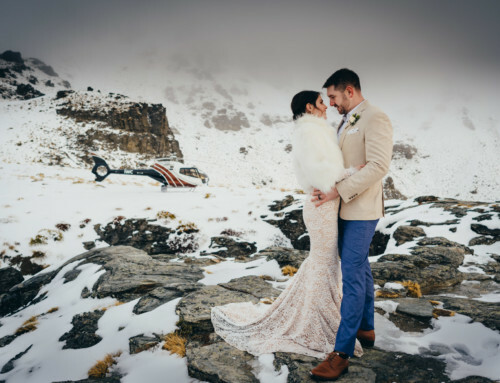 Elopement package: Dual landing mountain flight to Mount Roy (Coromandel Peak) and Lake Erskine with 4 hours photography. This package includes planning and coordination, celebrant, witnesses, flight and bubbles. They also included a hair, makeup and flower package.